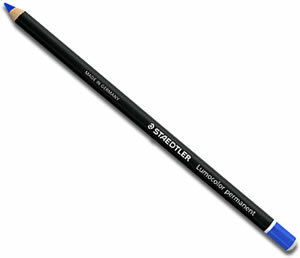 Staedtler Lumocolor pencils are brilliantly versatile pencils that will mark just about anything you require them to. They are available in both permanent (Lumocolor) and non permanent (Omichron) options and come in 6 colours. Put Staedtler Lumocolor to the test, we are pretty sure there is nothing they won't mark! and non permanent) available individually. This is the NON permanent version. 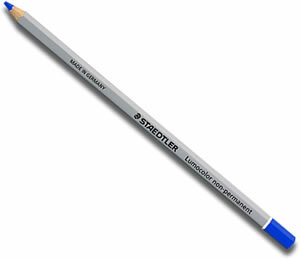 Staedtler Glasochrom Lumocolor pencils are brilliantly versatile pencils that will mark just about anything you require them to. Put them to the test, we are pretty sure there is nothing they won't mark!